Being based in Northern Ireland, it has always been important to ActivityBreaks.com to support our local community and with the Belfast Giants it was a no-brainer! Our packages are all about new active experiences around Europe and ice hockey in Northern Ireland is certainly a unique venture which has seen unparalleled success. 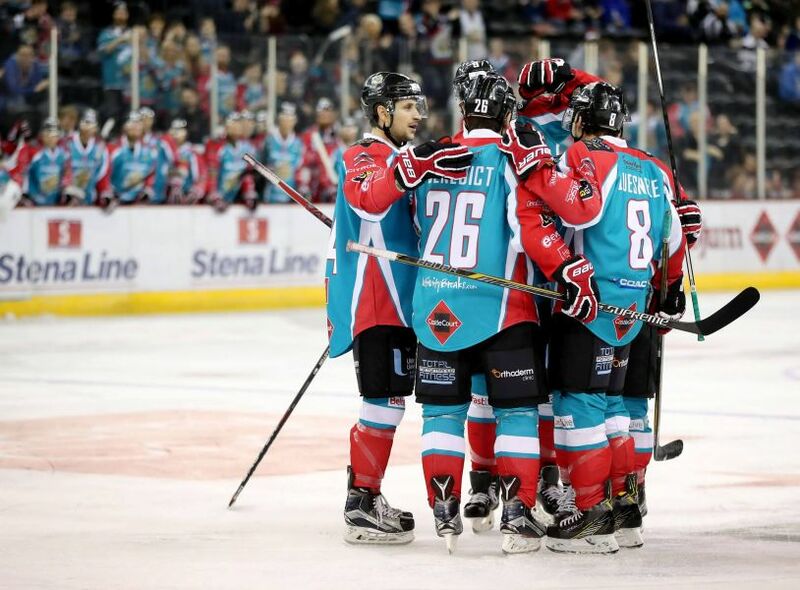 The Belfast Giants began in 2000 when ice hockey in Northern Ireland was a niche sport. However, in just 16 years they’ve become one of the most popular sports in the country with loyal fans packing out the SSE Arena every week. The team have seen as much success on the ice where they’ve collected 8 major championships, including the Playoffs and Superleague and Elite League titles. In 2011, the story of the Belfast Giants even reached the heights of Sports Illustrated where they featured in an 11-page spread. Brandon Benedict has taken a privileged role at the Giants this season where he has been named alternate captain. This is no surprise given his years of dedication to the club with 2016-17 serving as his fourth year in teal. In his Giants career to date, Brandon has amassed 149 points in 173 games making him one of the most consistent forwards in the team. As part of this sponsorship deal, you may have already noticed some exclusive ticket giveaways on our Facebook page! These will continue throughout the season and in January we’ll be launching another exciting competition across our social media channels to win a holiday with ActivityBreaks.com. All the team at ActivityBreaks.com are excited about this partnership and wish the team the best of luck in their pursuit to bring the Monteith Bowl back to Belfast!